Welcome to my blog! If you're starting the hop at my blog, head on over to Sketch Support to begin the HOP! http://www.sketchsupport.com/ There's a fantastic grand prize up for grabs so be sure to leave a comment on everyone's blog to win. You should have arrived here from Suzanna's blog. I'll be giving away a copy of Sketches for Scrapbooking - Travel Sketches AND One-Page Sketches Vol 2. I'll pick a winner on Monday so be sure to check back then! So this is the sketch we are all using for the hop ... it came right out of one of those sketch books you could win! As you see, I used the sketch and created a two-page layout, it was easy to switch it up. My style is clean and simple, letting the pictures take center stage. 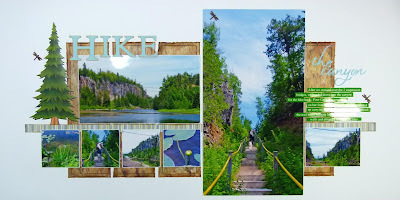 BTW, these pictures were taken near Thunder Bay Ontario. When the weather is good, I love being outside, so I really only scrapbook when it’s raining, snowing or just too cold to be outside. I’ve got an ancient kitchen table under a huge south facing window, but it’s an embarrassing mess. When stuff begins to fall off the edges, I’ll organize, but it’s never enough … lol. I prefer to scrap during the day, by 9 at night I’m done in … I’m not a night person at all! I’m a seasonal scrapper … that is, I spend a lot of time at my desk during the winter (I AM Canadian, and I hate winter) and not much time during the summer because I’d much rather be out making those memories! Together with my husband, we have travelled Canada from sea to sea … we've watched the sun rise off Cape Spear in Newfoundland, and walked the endless beaches of the Pacific Rim. We've stood in awe under the giant redwoods, got lost while hiking through the badlands, we've watched storm clouds fill the prairie sky, felt the salt spray on our faces atop the windswept cliffs along the Cabot Trail and even canoed through the wilderness during a snow storm. We live in a beautiful world, but the northern wilderness of Ontario has my heart. I always start my layouts with a sketch, ALWAYS! Sketches are great time-savers, and the SG sketches are easy to adapt to my style and my pictures. My favorite sketch is Two-Page Sketch #8. I've based 3 layouts on it and just can't pick one to post! I love your LO's, so very well done. And the title of your blog made me chuckle! Beautiful layout of a beautiful place. I think it is awesome you get to travel. My dream someday! I've seen some of your layouts before, a I always love your photos! I really like the photos you used! I love that you did a 2nd page and very complimentary to the sketch too! Gorgeous photos, inspiring blog and lovely LO. I love nature photos, and the sketch is great. beautiful canyon two page spread and i love the baseball spread! I love your style!! Thanks for taking a one pager and turning it into two pages. I also really like the other layouts that you shared. Wow, those photos are gorgeous! Great layouts! Your clean and simple is beautiful. So crisp looking. Love the way you adapted it to a 2-pager. I LOVE how you turned it in to a 2 page lo. I'm also so impressed by your 3 versions of Sketch #8, that I'm now a subscriber. Thanks for the inspiration. You really outdid yourself! These are fabulous! I think it would hard to pick one to post too! So glad you posted all of them! Beautiful work! Your pages are gorgeous! I love how you let your beautiful photos shine. Your pictures are amazing and your gorgeous layouts really show them off. Is the baseball in your layout your own creation or store bought? It is a great background. Your pictures are amazing on your layout! Thanks for sharing your favorite sketch with 3 layouts you created using it! Love them! THanks for sharing! 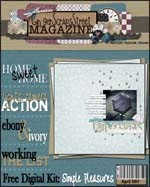 I love your clean and simple style of scrapbooking. I tend toward the same style. And I love how you turned the one-page sketch into a two-page layout. Thanks for sharing! love your layouts and that you changed it to a two-page which is mostly what I scrap. Michele, I LOVE how you converted the sketch to a two page layout. Wow! Have enjoyed seeing your designs at Sketch Support and thanks for the chance to win!! I too love how you converted the sketch to a two pager. I rarely do one page layouts. Thank you for posting the extra layouts -- I love your style! Love your adaptation of the sketch! TFS! Love your take! Great pictures too! I love how you turned it into a two-page layout. Thanks for the chance to win. I love your layouts, and that you love the 2 pagers like I do. Wow, you have some awesome layouts. The trees in your newest layout are beautiful. Beautiful pictures! I've been to Thunder Bay and it's beautiful! Thanks for sharing your favs too, that was fun to see them so different with the same sketch! Awesome take on the sketch and gorgeous photos. It's easy to turn a two-page sketch into a single page LO, but it's great to see it work the other way around as well. Great LO's. Beautiful pics of Thunder Bay. Love how you turned the sketch into a 2 page LO. Thanks for showing all 3 LO's from one sketch. It really shows off the versitality of these sketches. 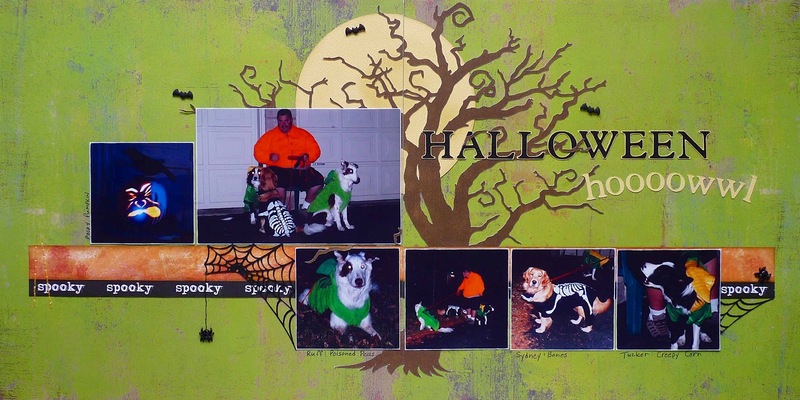 Michelle your layout is awesome...I adore your tree, where did you get the template for it? I always love reading more about the person behind the blog. GORGEOUS layout!! I've never been to Canada, but you are making me want to move! ; - ) Thanks for the chance to win! Wow!!! I love that you made this into a two pager!! Awesome photos and tree element! A very pretty layout! Fantastic pictures! Nice to see the adaptation to a two-pager. Love all the pics you placed here! I really enjoy seeing travel layouts. Great layouts!! Your style is like mine-clean and simple. Thanks For the three ideas using the 1layout. This is great! Love how you took the sketch and turned it into a double page layout! Great work! I absolutely love that you used it as a double!!! I will be trying thiS. Thanks for the great ideas and inspiration. Such beautiful photos! Love how you turned it into a two page layout. I love the two page layout. We do a lot of hiking and this is perfect for some pictures I have. Oh the hiking page will be great for our camping pictures! Love your pictures. Really like how you made this into a 2 page layout. Love that you made this into a two page layout! love, love, love your work! the pics are really great too! Your style is right up my alley with it being clean and simple - me too! Love how you turned the sketch into an awesome 2 pager! Michele your work is awesome. Every week I check back on the Sketch support site to see what you created. I have alot of pictures from the Rocky Mts (my favorite place) and once I seen your Mt layouts I was hooked. 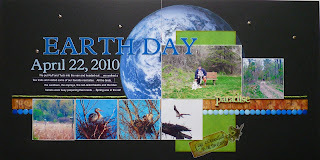 Your layout for the blog hop is spectacular as usual. I cannot wait to see what you come up with in the up coming weeks. Thanks for showing us a 2 page layout with the sketch today! Really is pretty! I really like all of your layouts from your favorite sketch, I can see why it's your favorite one! They are all really good! your layouts are great! thanks for the chance to win one of these fantastic sketch books! What a gorgeous layout! Love the large photo and that you stretched this into a 2-pager! Love it! LOVE how you turned that into a 2-pager!! Beautiful photos too! Awesome sketch use - I love your style! Your layouts are amazing. Thanks for sharing and the chance to win! I love how you made this a two-pager, and your photos are just awesome, wow! I enjoy how the colors and pictures stand out on your hiking layouts and since I have boys the baseball layout will be one I will used too. I like the Travel Sketchbook, thanks for giving us a chance to win! OMGosh! I love the way you did your layouts--so striking :) the photos are so 'up front'--love it! OMG!! The name of your blog has me rolling with laughter!! And your layouts are so beautiful!! If I had to chose a favorite one, I'd go with the Halloween - love that tree in the background!! Love your layout - I have a lot of pictures from visits to national parks and this one is perfect! Thanks for sharing. Janelle H.
Love your layouts! WOuld love to win! Love your take on the sketches and your pictures are beautiful! I love how you rotated the sketch--and your pictures are positively stunning! Your pictures are stunning! Great job on the layout--I like how you turned it into a 2 pager! Wow, those are great layouts! I really like your style. Love, love your 2-page layout from the 1-page sketch. Especially since the photos take center stage. Oh gosh... Not only do I LOVE the name of your blog (oh how I know ALL about dog hair being everywhere) but I am crazy about your layouts, they're awesome! I love how the pictures take center stage on the LO. I love outdoor / nature pictures and the sketches help unify the whole look. Great LOs!!! They're fabulous! And I love how you changed each of them up to make them unique. I like how you changed the one page sketch to a 2 page. It gives me many ideas. Wow, the enlarged photo is just striking! Wow - what beautiful photos! I love how you changed it to a two page sketch. Thanks for the chance to win. ohmy!! Your take on the sketch is breath-taking and inspiring! I love your choice to make that very large and narrow photo! I love how you stretched the sketch into two pages! 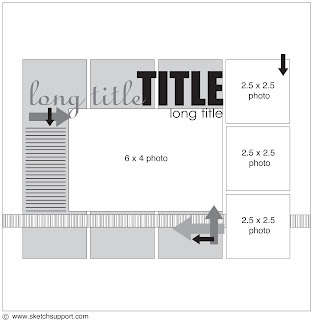 Michele I love your layouts and your talents as a scrapbooker shine through those gorgeous pictures...I love following your travels on your blog. Michele, your layout turned out beautifully!! I love how you turned it into a double pager and the photos look stunning against the white cardstock background!! 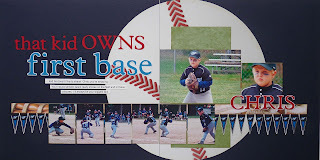 Definitely love the baseball layout!! Great use of banners!! Wow your pictures are gorgeous and you make me want to visit northern Ontario! Love all of your layouts, love how you are clean and simple and your pictures really stand out! Gorgeous photos in your layout! I love how you turned it into a two pager. You have totally made me want to included a BIG photo in a future layout. Love that you made the sketch into a 2 pager! It's great to see the photos take centre stage. Wow, wow, wow. This is a wonderful interpretation of the sketch. It looks so good as a two page layout with that huge focal photo. I WILL be scraplifting this! Laurel, I'm amazed you noticed! Our girl Gem only had 3 legs ... she was amazing, but as she got older she got arthritis in her one front leg. Going downhill got harder and harder ... so my husband would carry her (only ~ 50 pounds, she had a ton of fur). i love how you turned the sketch to a double pager, genius! Wonderful job !!! Very inspiring layouts !!! I reallly, really like your take on this sketch and especially the 2 page adaptation. Great idea and beautiful pictures! I can relate to your style and a lot about you. We could be sisters! Except that I'm in Arizona and the canyon I've hiked is not so green... LOL Thanks for your beautiful post! Great layouts...and I love the name of your blog. The main picture on your layout just draws me in! Beautiful. Thanks for sharing. Love the 2 page layout idea. Beautiful. Great take on the sketch. I love how you expanded it to a two page layout. I'm a double layout girl, and Iove that you turned the sketch into a 2 page layout. You layouts are beautiful! ...I agree everything tastes better with dog hair in it! I love your clean style and follow your blog regularly! I LOVE your double page lo! Such simple beauty too. I love how your photos take center stage on your layout. I'm a fan of stretching a single sketch over two pages also. Love your 2page interpretation. Thanks for sharing! This was a great example of how to turn a 1pg sketch into 2pg layout....beautiful photos. Love that you turned it to a two page. I am such a two page girl myself though I am working on stepping outside my box and learning to do some one pages as well. I love the other layouts too. I have used Sketch 8 as well. The way you've taken this sketch to a two-pager is just fabulous! Love the subject too - beautiful pics!! What beautiful photos these are, love the layout. I remember seeing all 3 of these past layouts and loving them. Your photography is always crisp, clear and gorgeous. Thanks for sharing and for the fun giveaways! Love that you stretched it into a 2-pager! Gorgeous!! I've left several comments on your blog today. I like your sort of graphic style & am so impressed by your scenic photography! I love how you stretched the sketch into 2 pages. I'm always looking for 2 pages inspiration. Beautiful pictures of your hike. Wow, your photos are always so amazing and beautiful! 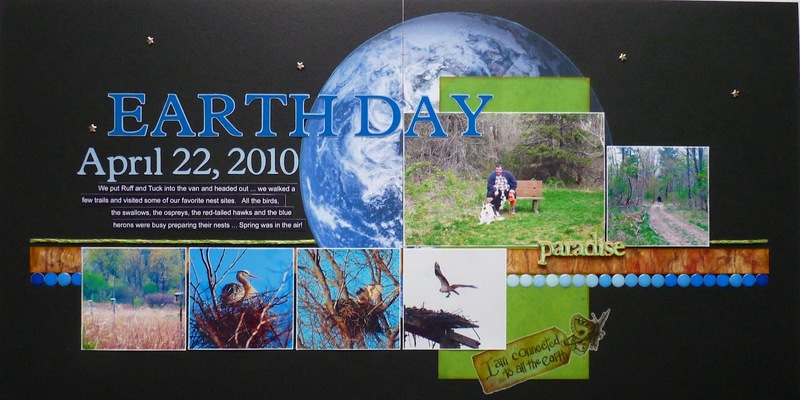 I love love love the earth day layout---it's out of this world!! Beautiful layouts on Thunder bay! FAB! I love that gorgeous enlarged photo. Absolutely stunning, thanks for the inspiration. Wow...love it! It's ALL about those gorgeous photos! Wow... fabulous photos. I couldn't stop looking at them! Wonderful layouts! Great Layouts! I love how you use the sketch. Great photos. I love your layout. Great LO, thanks for sharing! I love your sense of humor and can tell that you really LIVE life! I think that is awesome and the pictures you take are too! Thanks for sharing! I enjoyed being on the team last year and miss it this year but just didn't have the time this go around..I am sure you will be awesome! Can't wait to see more. Loved the way you took the sketch and made it a 2 pager Michelle! Wonderful photos and you did a fantastic job of showcasing them so well! Your photos and layouts are amazing! I'm married to my best friend and soulmate. We've been together for 20 years! We share our home and lives with our 3 dogs: Tucker, Sydney and Alfie. Together we enjoy wilderness camping, hiking, birdwatching and taking extensive road trips anywhere and everywhere in Canada. 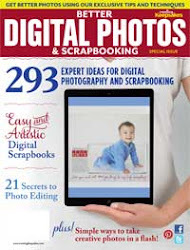 I love photography and scrapbooking, it's the perfect combo! My layouts are usually clean and simple ... so that my pictures really shine! We are experiencing technical difficulties!